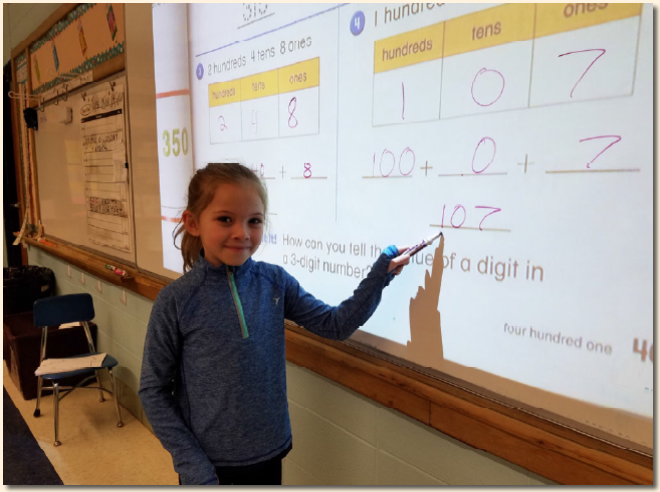 demonstrating the expanded place value of a number. 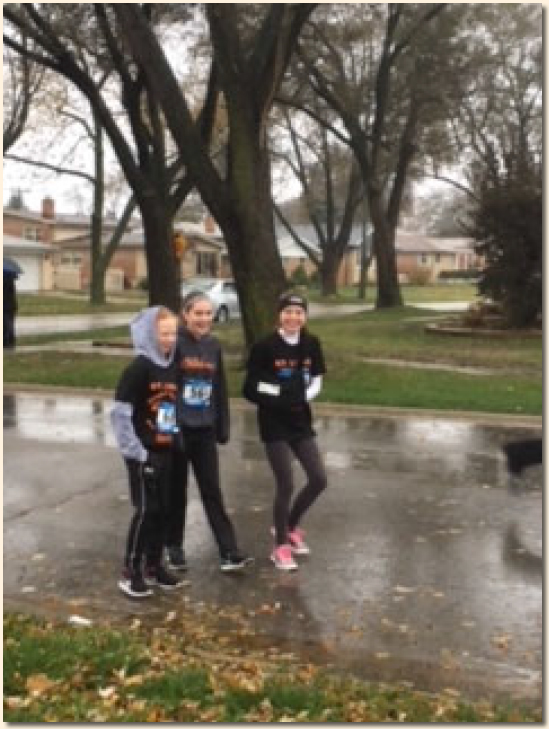 Our 4th Annual Turkey Trot was a huge success even though it rained all day. 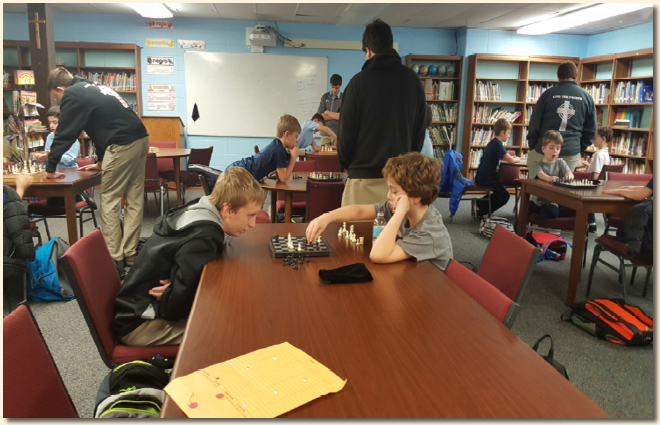 have been taking Chess Lessons after school. came by to be the instructors. Here are Seamus Payne (3rd gr.) and A.J. Perz (8th gr.) involved in an intense game. 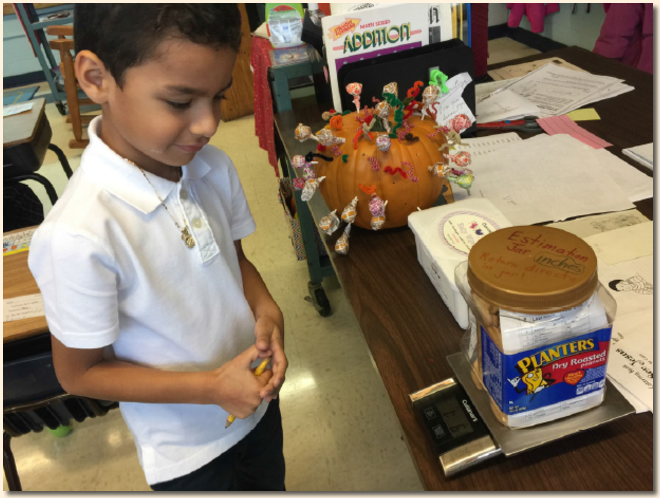 Isaac Martinez brought in something to be measured in length and in ounces. Students love to share stuff from home to help with classwork. 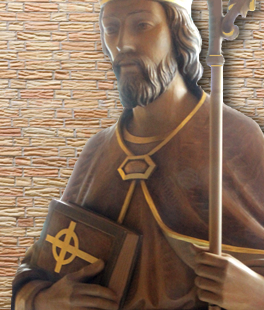 Bible Study - Fifth graders are learning to find passages in the Bible. 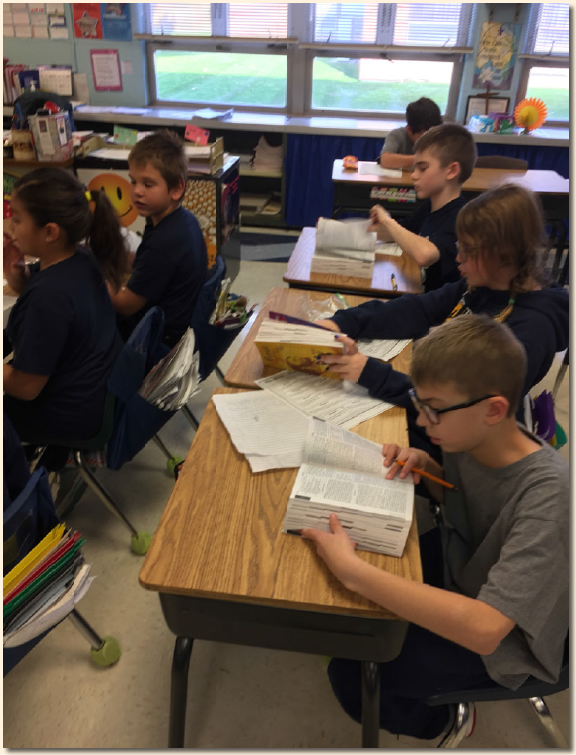 Danny Walczak and classmates searching their Bibles. for outstanding academic achievement and extracurricular and community involvement. 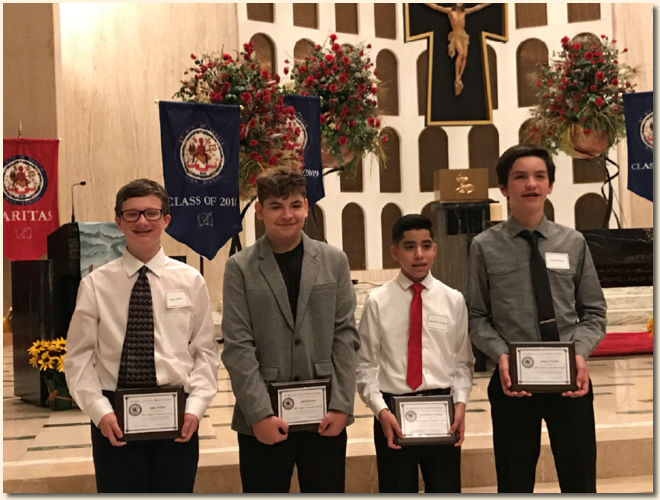 Congratulations to Johnny Dillon, Jake Foster, Alex Soriano and JAC Cholke. What a great night to be a Hawk! Ella Kokaska, 2nd grade has a lot to be thankful for! 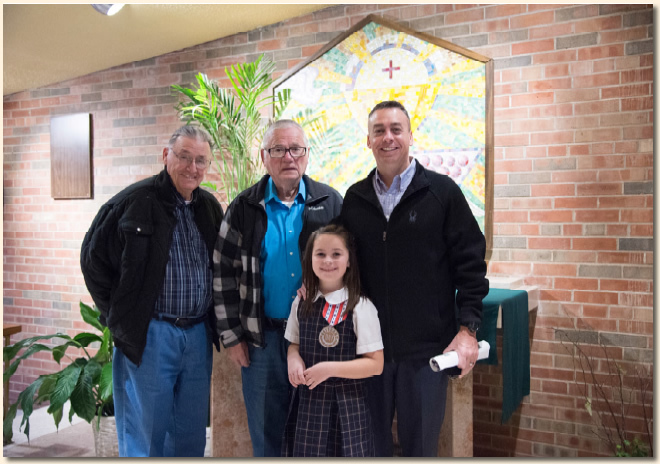 She honored her Father, Grandfather, and family friend for their years of service in the military. for being the runner up in the Southside Catholic Conference Championship Series. They were also awarded a plaque in recognition of being 1st Place during the regular season. 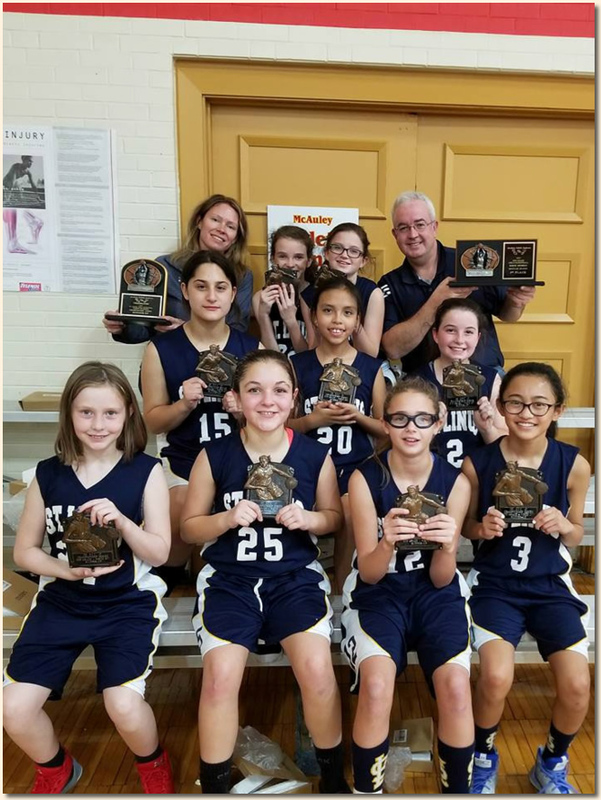 Congrats team and Coaches Tom and Kristin for an incredible season! 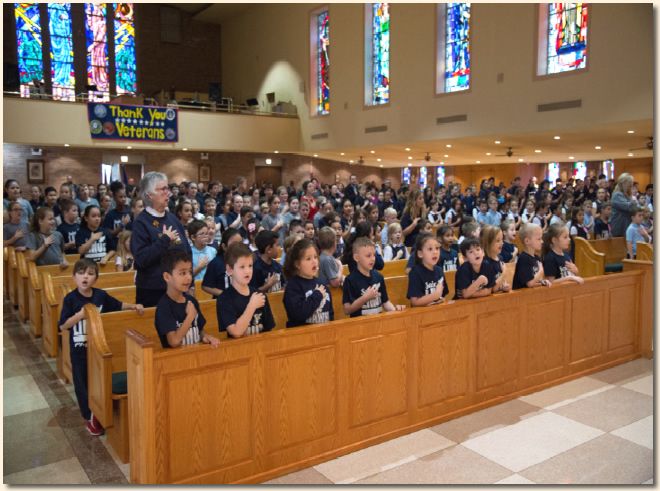 On Friday, November 10, St. Linus had our annual Veteran’s Day Assembly. It was a beautiful day with singing and praying from our student body. The students did an outstanding job of thanking our veterans for their service. 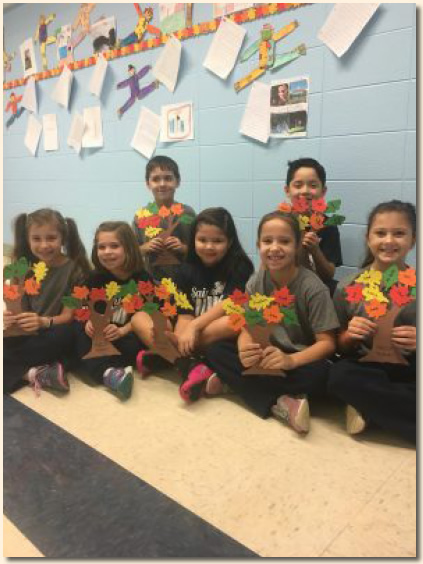 3rd Graders kicked off November with a Thanksgiving project. They reflected on what they are most grateful for and created Trees of Thanks. 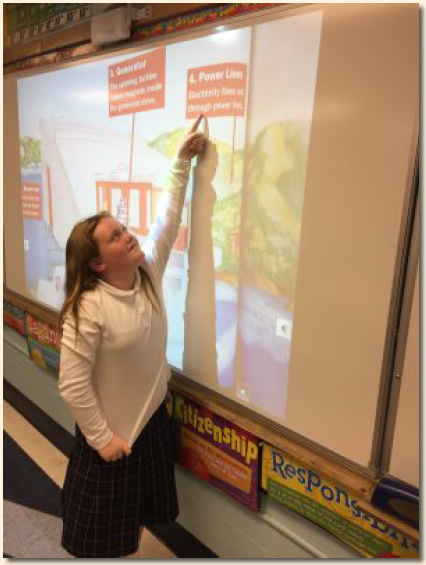 of a hydroelectric power plant in Social Studies. Here is Bridget James at the Bright Link board pointing out important facts. by doing some cool science experiments. One of the class favorites was our ghost rockets. 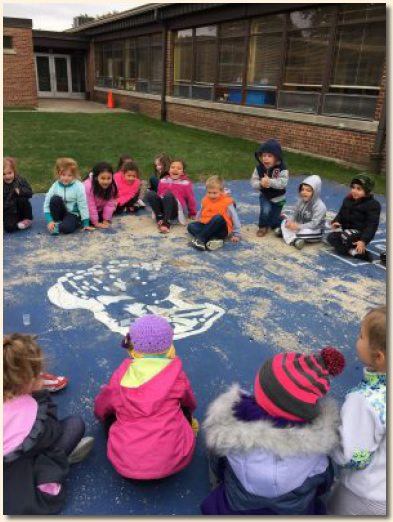 It was hard to capture the actual rocket exploding into the air, but the children's faces tell it all!